Last month, a YouTuber went viral for sharing a video of him kissing a woman he claimed to be his sister. 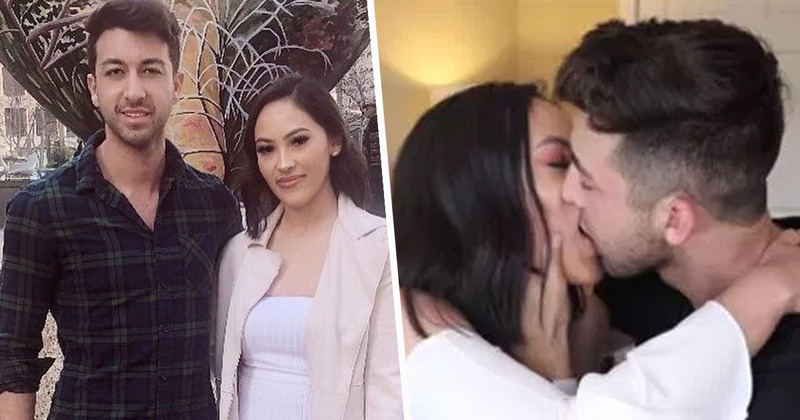 Chris Monroe disgusted fans when he uploaded the ‘prank’ video to his YouTube channel, with many questioning whether the woman, Kaitlyn O’Connor, was actually his sister. The YouTuber has now confirmed O’Connor is his sister though, proving that some people will do anything just to get a few ‘likes’ online. On his popular channel PrankInvasion, Chris uploaded a video called ‘Kissing My Actual Sister Prank’ which has so far received a massive 3.1 million views. In March, the YouTuber shared a photo of himself and his half-sister Kaitlyn on Instagram commenting the pair will kiss on camera if the image received over 30,000 likes. And of course, because the internet is a weird and terrifying place, the picture quickly accumulated tens of thousands of likes and the ‘prank’ was set in motion. At the start of the video, Chris explained how he felt he owed his subscribers ‘something big’ due to his channel and social media being hacked for three months. Chris and Kaitlyn then played ‘a quick game for a kiss’. Despite his half-sister telling him she doesn’t really want to do it, she adds she will help the prankster out as his viewers ‘want to see it’. Playing a round of rock, paper, scissors, Chris wins and goes straight in for the kiss despite saying ‘this feels awkward’. Yeah it is awkward. Just why Chris? Why?! In total, the brother and sister shared three (very intimate looking) kisses in front of the camera. And although viewers initially thought this could all be an elaborate joke and the girl was definitely not the YouTuber’s sister, Chris has recently confirmed this is not the case. Well then, there you go. Just when you think the internet couldn’t get any more bizarre (or disturbing), YouTubers step up to the mark to bring your entire world crashing down. Good prank guys, nice one. Excuse me while I go wash my eyes out with soap.